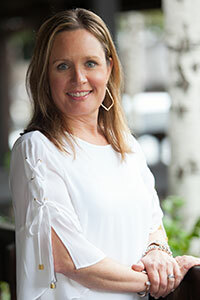 Originally from southern California Dr. Kelly received her undergraduate degree in Biology and Doctorate of Chiropractic from Los Angeles College of Chiropractic in 1993. Dr. Kelly’s use of state of the art chiropractic techniques has allowed her to build one of the leading chiropractic clinics in the East Bay. Her main priority is to help guide her patients to make healthier lifestyle choices and to achieve a higher level of wellness. For almost 20 years Dr. Kelly has successfully treated thousands of people who had been diagnosed with many illnesses including arthritis, sciatica, fibromyalgia, headaches, neck & back pain, carpal tunnel, allergies, acute injuries, and chronic fatigue. She uses a variety of techniques to specialize treatment to each individual patient. With a focus on nutrition and chiropractic she helps others restore and/or maintain balance and promote long term health. She primarily uses Diversified, Impulse Adjuster, and Low Level Laser Therapy. In her free time she enjoys playing tennis, bocce ball, hiking, and spending time with her family and friends. Email Dr. Kelly Hall at drkelly@sycamorevalleychiropractic.com or contact us today for an appointment!